Are food-delivery apps and 'dark kitchens' the death of dining out? Online delivery platforms have dug their heels into the Australian market and they're changing the restaurant business and our eating habits in a way that hasn't been seen since McDonald's introduced the country to fast-food in the '70s. Figures from National Australia Bank show that online takeaway food sales rose by 56.1 per cent in the year to June 2016, accounting for 5.8 per cent of Australia's total online spending of $20.1 billion. "When we speak to our customers, we find the majority didn't order food delivery a year ago," says Levi Aron, Australian Country Manager for Deliveroo, one of the leading online delivery services. "Now we're finding those customers are using the app once or twice a week." These new food delivery apps aren't just delivering two-for-Tuesday specials with a garlic bread and a Coke (although there's certainly a lot of pizza, burgers and fried chicken in those heaving backpacks on the delivery-bike riders) but meals from hatted restaurants that traditionally wouldn't have touched the delivery market with a 10-foot bread stick. George Calombaris uses the platforms to sling souvlaki across Sydney and Melbourne, Andrew McConnell's Supernormal delivers lobster rolls to the people of St Kilda and Neil Perry's Rockpool Dining Group is a big fan of the service, with restaurants such as Spice Temple, Fratelli Fresh, Sake and Burger Project all available on the apps. 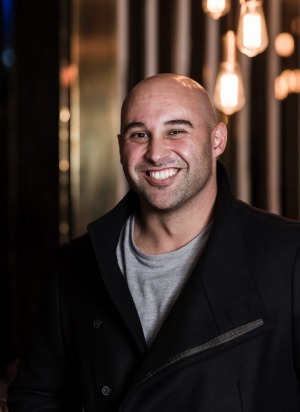 "It's a service that our customers are asking for," says Rockpool Dining Group's chief executive officer, Thomas Pash. "We would like them to enjoy the full dining experience in our restaurants whenever possible. However, if they choose to order a meal to be delivered to their home, we'd like our restaurants and menus to be front of mind. "We have some venues in the premium and fast casual tiers that do as much as 20 to 25 per cent of sales via delivery." Each of the delivery platforms operates in a similar way. A customer downloads the app on their phone, orders food from one of the restaurants signed up to the platform, and a bike rider (or perhaps car driver for some UberEats orders) collects the food from the restaurant and couriers it to your door. From confirming an order to sitting on the couch stuffing hangover chicken in your face takes around 30 to 40 minutes. Here are some quick company stats that give you an idea of the main operators' scale. Deliveroo is a UK-based company founded in 2013 that began delivering food in Australia just under two years ago. In that time, the platform has gone from partnering with 20 restaurants in Sydney and Melbourne to signing almost 4000 eateries across 10 regions including Wollongong, Geelong and Penrith. 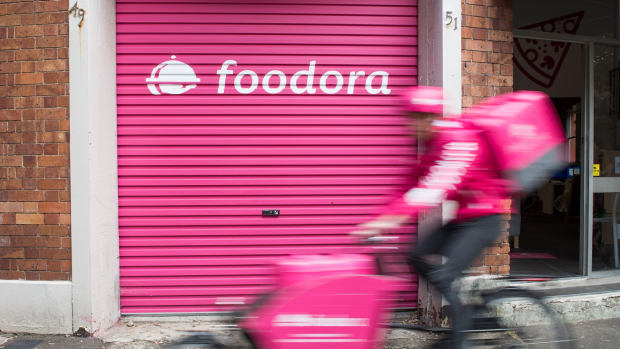 Foodora is owned by larger fish Delivery Hero, and operates from a headquarters in Berlin. The service has launched in 10 countries and operates in Sydney, Melbourne and Brisbane across more than 2500 restaurants. It's important to acknowledge Menulog, too. The online food ordering service has been operating in Australia for 10 years and in the early days it would use a fax (!) to message orders to restaurants. Menulog has a whopping 9000 restaurant partners across Australia. However, it does not have a fleet of delivery drivers like UberEats, Deliveroo and Foodora. A restaurant must be willing to run the delivery part of the service itself. The venues signed to Menulog might not be the most "Insta-worthy" joints in town (there's a large number of humble suburban takeaway restaurants). But it was acquired in 2015 by London-based company Just Eat for $855 million and you better believe those guys plan to spend serious coin investing in the app's technology and public image over the next 12 months. Let's leave Menulog to the side and return focus to the three major delivery apps taking the Australian dining world by storm. What is the incentive for a popular restaurant to partner with one of these companies? "Restaurants price their menu according to things like tenancy, food and staff costs," says Aron. "We look at a restaurant and the capacity of its kitchen and say 'The only additional cost you're going to have will be the cost of food. You already have the chefs, you already have the labour in the kitchen, you're already paying rent to drive your current business'. Restaurants keep their fixed costs and increase revenue with a new arm of delivery." Another incentive for a business to partner with a delivery platform is that customers will often order food from an app at different times to when they eat at restaurants. "For example, Sunday nights are one of our busiest nights on the app, when for many restaurants it's a quieter service after the rush of Friday and Saturday," says Aron. "Most of our customers have gone out for a big weekend, they've come home late Sunday afternoon and they just want to catch up on telly and have someone bring them food. At that point, we're able to maximise a kitchen's capacity, which may have otherwise not been in much use that evening." So high-fives all round then, yeah? Delivery apps. Hooray! Not quite. UberEats, Deliveroo and Foodora all take a percentage of the order cost for their delivery services, and while the Big Three won't reveal exactly what those percentages are, most restaurants will tell you it's anywhere between 25 and 35 per cent, depending on a store's location and turnover. It's that commission fee that led Pizza Religion director Matt Hunter to remove his Melbourne-based micro-chain from UberEats two weeks ago. "Restaurant profit margins are tight and you're always fighting to keep down costs," he says. "At the end of the day, to give away 25 per cent of your sales is giving away your profit." Pizza Religion already had an in-house delivery fleet but signed with UberEats because "everyone was starting to get on a delivery platform", says Hunter. "We figured we had to do it or we would miss out on additional business." However, Hunter says UberEats did not increase sales for Pizza Religion. "We found that a lot of existing customers just switched from using our own ordering site to using UberEats. We didn't notice any new customers and when you're paying high commissions to an external company, increasing sales is something you need to do." Hunter also experienced problems with UberEats delivery riders disrupting the restaurant experience for in-house diners. "On some nights we might have 10 riders standing out the front of the restaurant waiting to collect orders," he says. "It didn't create a great vibe for customers dining in." Melbourne chef Shane Delia understands Hunter's delivery rider woes. The owner of Middle-Eastern fine-diner Maha and the fast-casual Biggie Smalls kebab brand is changing the way his restaurants are built to solve this problem. "With our new Biggie Smalls store in Windsor, we've relocated all of the apps and hardware to the back of house and there's a dedicated rear entry just for delivery riders." he says. "It means customers are not getting knocked around by UberEats bags on the back of riders walking through the restaurant." Chef and restaurateur Andrew McConnell has also modified his new Supernormal Canteen in St Kilda to accommodate delivery orders after finding the service wasn't a fit for the city branch of his pan-Asian good-times restaurant. "Access to Supernormal in the city is difficult and because it's a really busy restaurant we didn't have space for riders to be waiting," he says. "Also, adding a couple of dozen orders on top of what we were already doing compromised the experience of our in-house guests. At Supernormal St Kilda, we've modified the kitchen to handle delivery orders and redesigned the entry so there's a little area where riders can wait." 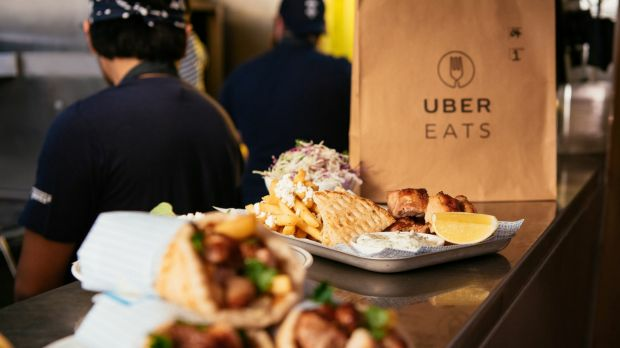 Delia has gone one step further in the restaurant-redesign game and opened an UberEats exclusive outpost of Biggie Smalls in Ascot Vale that has no signage or customer-facing component: 100 per cent of its business comes from the delivery app. "A circa 30 per cent commission rate is a huge chunk for a restaurant to absorb so you need to be forward thinking and find ways to cut other costs that aren't going to damage the integrity of your product," Delia says. 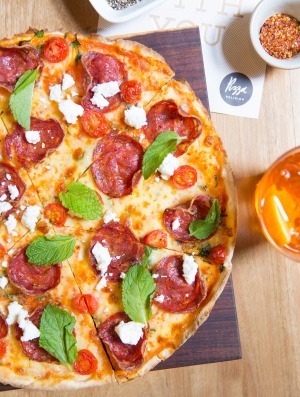 "Hence our Ascot Vale store. With a traditional restaurant like Biggie Smalls Collingwood, we spent $650,000 to get if off the ground. 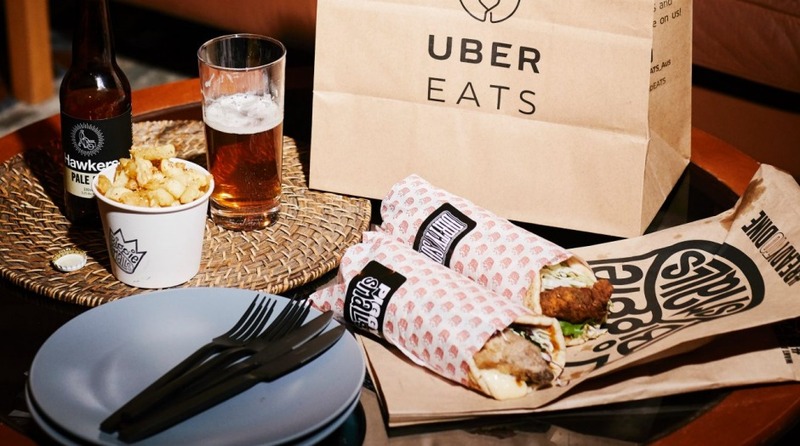 An UberEats-exclusive store like Ascot Vale, we can do for $20,000." 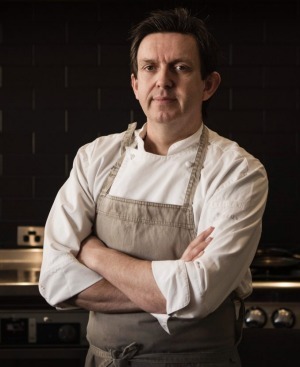 Delia is not the only chef creating restaurants with an address you won't find. Deliveroo is very close to launching "Deliveroo Editions" in Australia in an attempt to supply suburbs with fancier food. 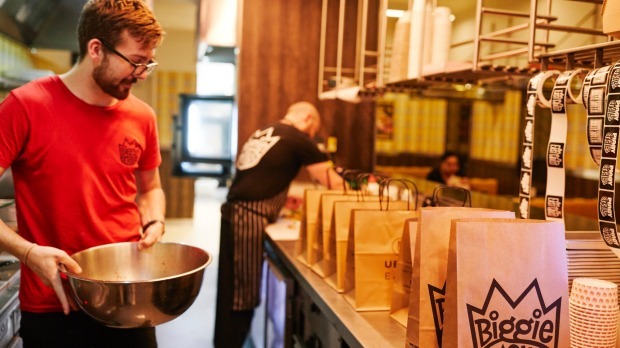 Industry commentators have referred to the concept as Deliveroo's "dark kitchens". "It's just good old supply and demand," says Aron. "There might be an area in Sydney or Melbourne that has great population density but not many restaurants. We'll scope out the area and actually build a kitchen. There might be up to 10 kitchens within an enclosed area and each kitchen is dedicated to a different brand. We're working with our top restaurants around the country to bring city-based brands to suburbs outside the delivery rider's radius." Spice Temple in Penrith? Supernormal in Frankston? Anything's possible in the age of the app. In a media conference for the Asia-Pacific market last week, UberEats announced plans to create "virtual restaurants" across the globe. "Virtual restaurants exist in the UberEats app, but not in the physical world," said a spokesperson for the company. "We create them by identifying what we call 'demand gaps'. "For example, there's a lot of people who want to eat [Hawaiian raw fish dish] poke at the moment, but it may not be available everywhere. In the case of poke, we can work with our existing sushi vendors to fill those demand gaps by creating new menus built for delivery only. "These virtual storefronts will appear as entirely new restaurants in the UberEats app, but operate out of existing kitchens." The death of dining out? Most Australian chefs will tell you that winter trade was tough in 2017. It's always a difficult period to get punters through the door, but this season was particularly hard going. An industry source says there's a fair bit of discussion within the chef community that delivery apps were a factor. "Who wants to leave the house on a cold night in the middle of the week when you can now have 'restaurant quality' food delivered straight to your door?" It's unlikely we're facing a future where restaurants exist only online and all meals are consumed in front of a streaming television service at home. The experience of dining at a great restaurant with family and friends is one of life's greatest pleasures and will never be extinguished. However, we can expect to see an increased disconnect between restaurant operators and their customers. "We've owned Pizza Religion for almost eight years and I knew 80 per cent of my customers by name at the original store," says Hunter. "I would see them in the street and people would wave or stop for a chat. Now, with the delivery apps, you don't know who's ordering. There's no human connection and it's a sad thing to watch happen." Sad or not, the delivery app companies have deep pockets and won't be leaving Australia anytime soon. As rent prices continue to increase, the idea of creating a delivery-only restaurant on the cheap will become more attractive, especially if you already have a successful brand. "We don't have Maha on UberEats at the moment, but that's not because we don't want to" says Delia. "We just can't do it from the actual Maha site because in-venue customer experience is my highest priority. There is no way in hell I'm going to have delivery riders walk into a $3 million restaurant with backpacks on and start smashing past customers. But that doesn't mean we won't develop a limited Maha menu that travels really well and is produced out of another kitchen. You'll see Maha on UberEats in 2018 for sure. "The dining landscape has changed and restaurants need to think forward. Traditional restaurant models are always going to have a place, of course, however I've been in hospitality for 20 years and I haven't seen the dining landscape change this dramatically before. It's a change that's only going to continue."